Click the INVITES drop-down from the top navigation bar. 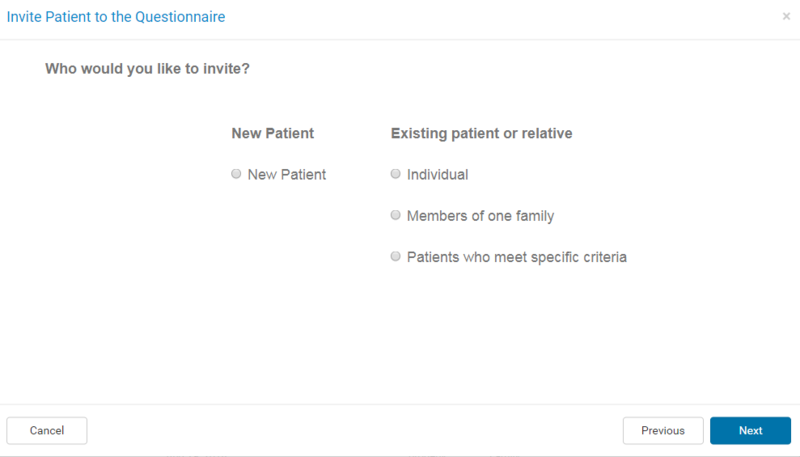 Select New Patient and click Next. 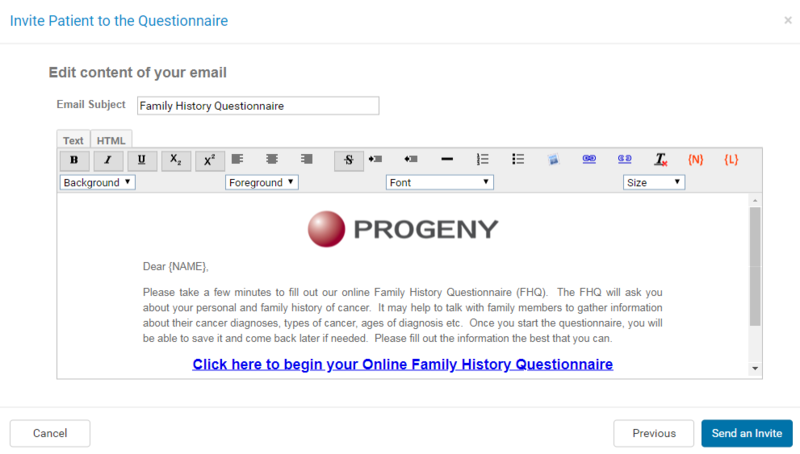 Select the folder to create this pedigree in, enter the name of the new pedigree, enter the gender of the proband, and enter the patient’s email, then click Next. Enter the additional data if known, to continue, click Next. Please note that the fields on this window can be customized by your group and may appear different than what is shown in the image. A popup box will be displayed.